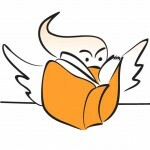 Brownies were chosen from four local Crows Nest businesses: Montagu, St Malo, Cafe 107 (aka Campos) and the recent addition to Crows Nest, the Boulangerie. 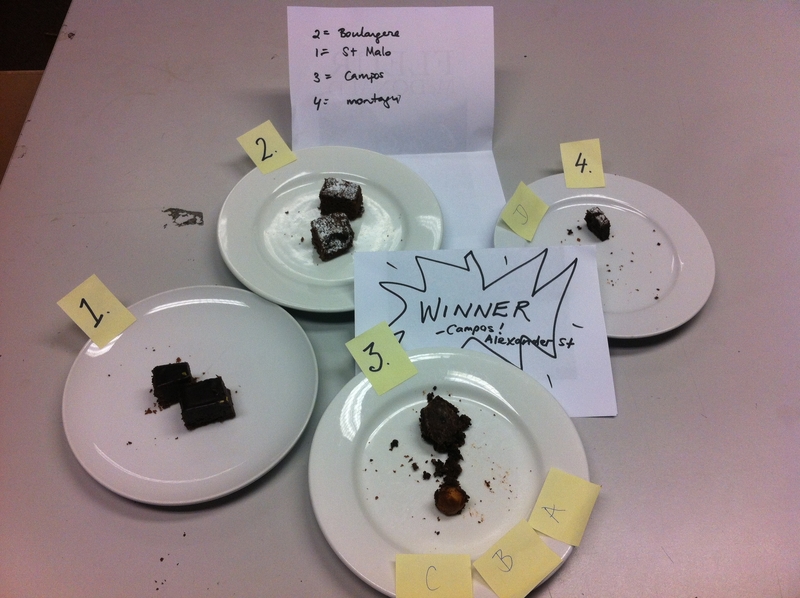 Brownie #1 received 3 out of 4 votes, and brownie #2 also scored highly. 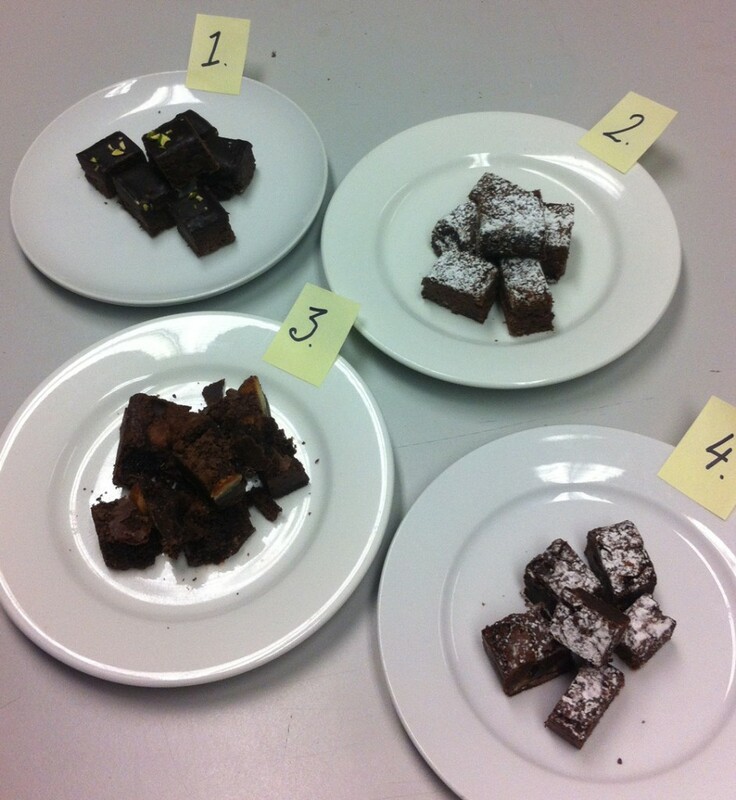 But while no brownie seemed to stand above the others, #3 was scored as best in show by 3 of the 4 judges. The dissenter voted for #4. When our esteemed Chairman walked past and offered to help, who were we to deny him. His vote was cast: 4,2,3 then 1. In conclusion, the quest for the ultimate brownie continues. 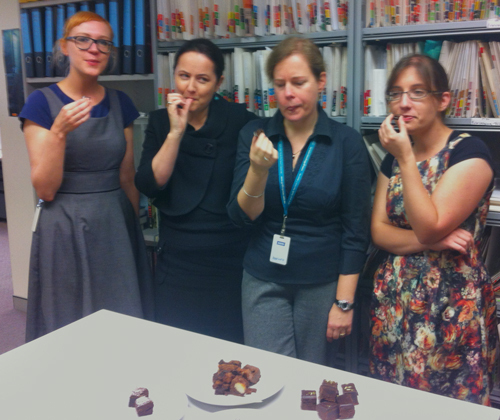 So if you have a brownie, and feel that it needs properly taste tested by the experts, send them our way! We know good cakes when we see/eat them.